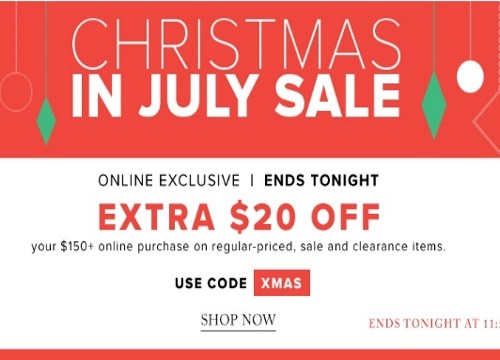 Hudson's Bay Christmas In July Sale continues today with a hot deal! Get Free Shipping on any sized order with no minimum, please get $20 off on any $150+ online purchase on regular-priced, sale and clearance items. Enter the promo code XMAS at checkout to get the extra discount. Offer ends Tuesday, July 12 at 11:59pm ET.